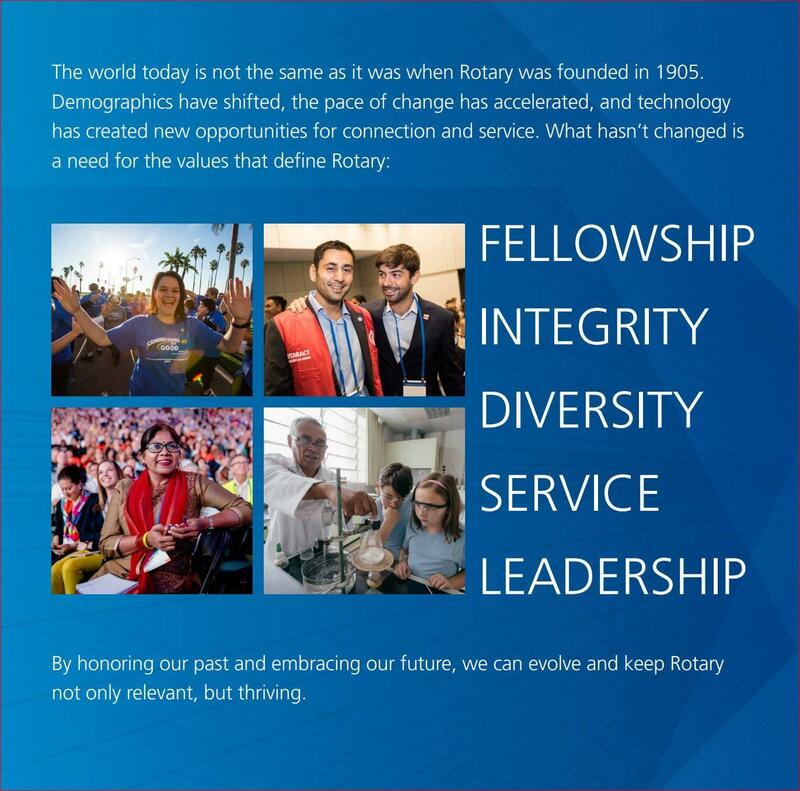 Rotary's Updated Vision Statement, Strategic Priorities, Objectives and Core Values. 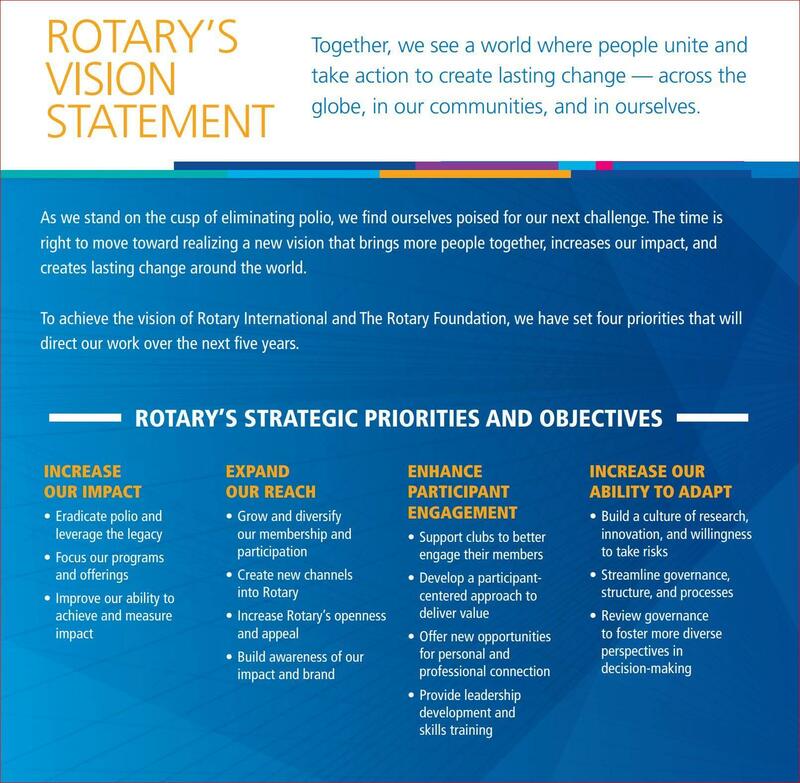 Rotary's Vision and Strategic Priorities and Objectives. Rotary's Strategic Plan Postcard Flyer Download.